Every mature civilization has worshipped feminity. So much so that the fount of all creation is called ‘mother nature’. 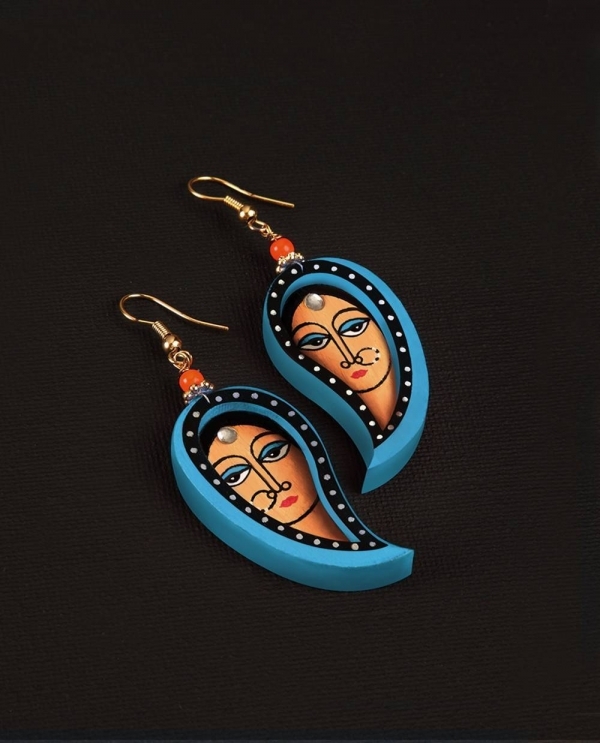 Deviyan is a highly stylized, graphic portrayal of feminity. Different pieces reveal different facets. Bold and shy, frank and reserved, curious and questioning. Women with Bindis and Ghoonghats, with kohl lined eyes and long pleated chotis. Hand painted and crafted by artists on layered wood. Embellished with gold finish brass and silver foiled crystals. 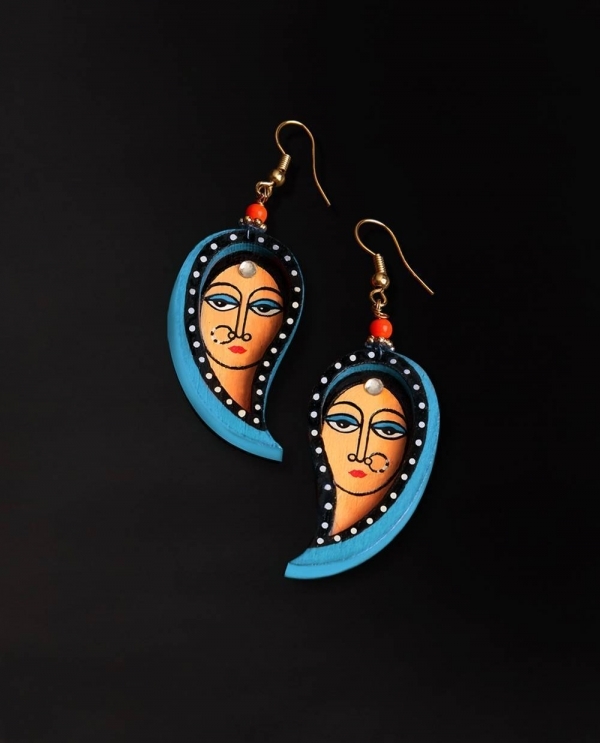 Strung together by glass beads by the traditional community of Patwas. 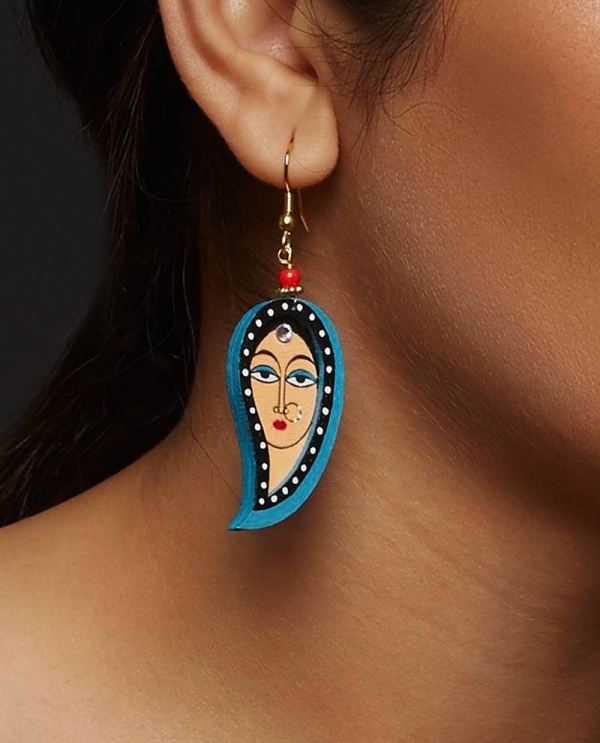 If a picture can speak a thousand words these painted jewellery will turn a thousand heads.